Rocky Mountain National park is blessed with many stands of slender aspen which provide an elegant and at times colorful touch to its forests. 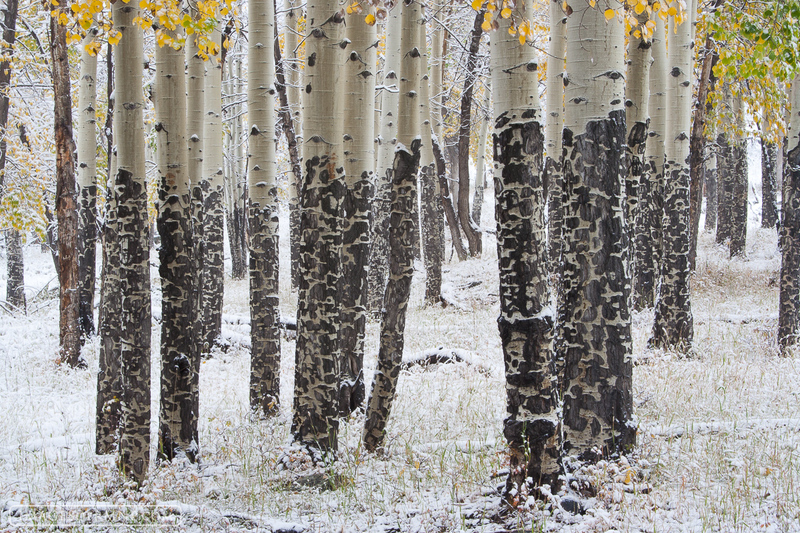 The aspen in Rocky are distinctive, having trunks which are spotted on the lower half. In some ways they remind me of Dalmatian dogs. These black scars are the result of elk scraping off the sweet bark with their teeth. Though too much of this can hurt the trees, there is a real beauty in the pattern created. Photo © copyright by Erik Stensland.